Lockable containers or security bags are supplied for regular collections. 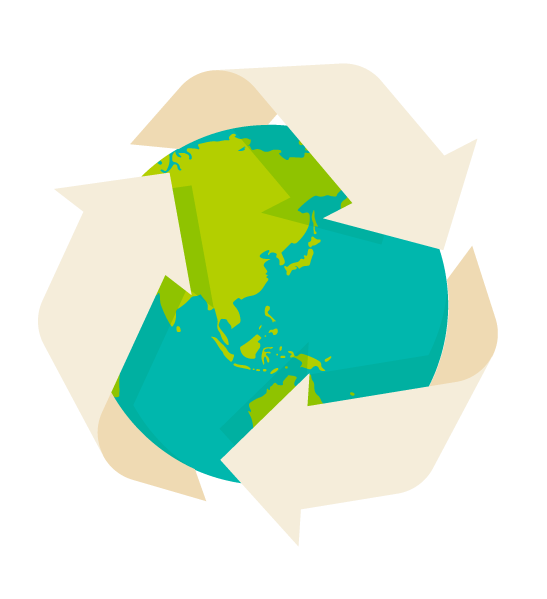 Bagged or Boxed material can be collected for one off services. 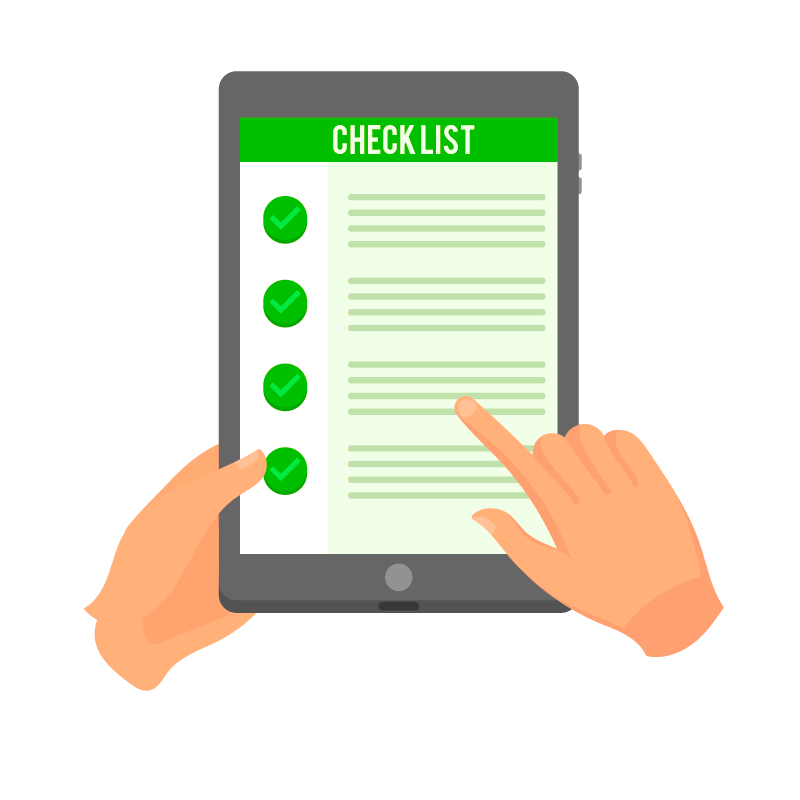 Before we leave your site, you will be asked to sign a digital Waste Transfer Note that confirms what we’ve taken away for shredding. 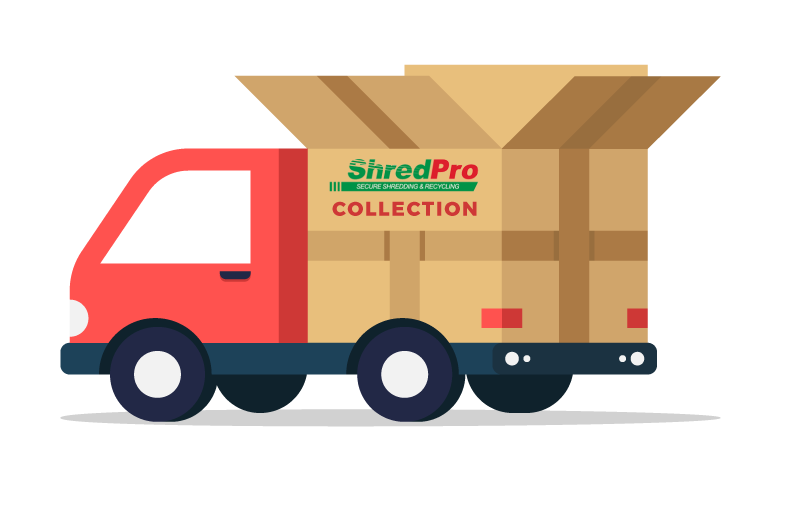 A DBS checked and screened shredding operative will then transport all materials in our tracked vehicles to our secure site. 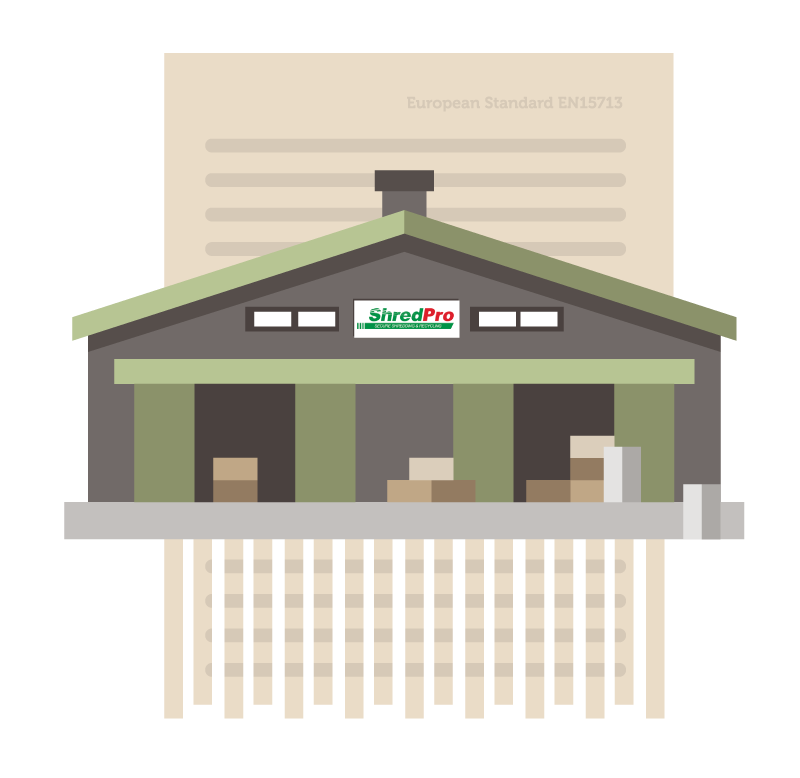 As soon as your waste arrives at our site, it will be immediately processed through our shredders, in accordance with European Standard EN15713. Our premises are equipped with 24-hour CCTV and have robust perimeter security. 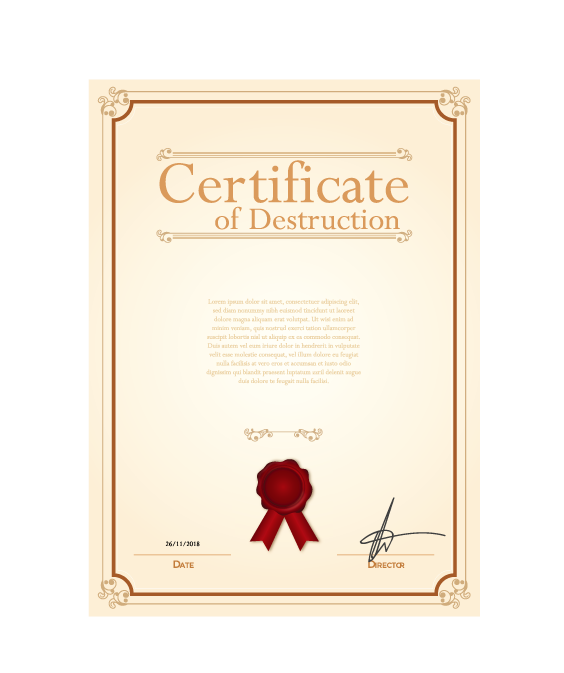 We’ll issue you with a Certificate of Destruction that officially confirms your documents and other waste have been securely shredded. The shredded paper is then removed, baled and recycled at UK paper mills.